Home / Blog / How to find a removal company in North London? How to find a removal company in North London? When looking for a removal company in North London, you will quickly find that there is a large choice available in this area, often making it difficult to know which one to choose. A good place to start is to find a removal company that is a member of the British Association of Removers (BAR). All BAR members require goods in transit insurance cover of at least A?20,000, a full training programme for employees, and a company that provides external dispute resolution when necessary. Selecting a BAR member sets, the minimum standard for your move, however, you should also consider alternative factors. It is important to go with a company that offers a free no obligation survey, without seeing your property it is difficult to determine what resources are required for your move. At JamVans, our surveyors assess the access of your current property, parking solutions, determine the volume of your move, how many boxes you will require and most importantly what size vehicle you will need. Booking a survey will allow you to ask any specific questions that you may have regarding your move. It is never too early to start collating removal quotes. Leaving it until the last minute can often result in panic and disappointment, as the day you wish to move maybe unavailable. By receiving quotes sooner rather than later, you can make sure that you have enough time to obtain multiple quotes and assess those that you have received. It is also good to start early as you can often shop around for special offers if you require additional services and facilities such as Man and Van, storage or packing. What questions should you be asking your removal company? A trustworthy and highly valued North London removal company will explain in detail what is and what isn’t included within a removals quote. If at any time you are unsure, be sure to ask; you do not want to be faced with extra charges on the day of your move! Be sure to ask your surveyor the following questions: is the dismantle and rebuilding process included within the quote? Are the boxes and packaging included? Do you arrange the parking suspension for me?, Do I have to be at the property on the day of removals? At JamVans we ensure that all costs are included within your quote, we educate and advise our clients so that they know exactly what to expect. Reviewing your quote and asking questions whenever you are unsure, guarantees that you are receiving like for like quotes when comparing North London removal companies. Some companies may appear to be cheaper at first glance, however, when the additional cost of boxes, dismantling and parking suspensions have been added, this may no longer be the case. Never mind the extra effort required to organise these additional aspects of your move. Here at JamVans, we suggest that you receive three quotes for your move. By doing so you can determine the most cost effective North London removal company. It also ensures you have chosen a removal company that covers all aspects of your move including parking regulations, packing, storage or furniture covers. Online reviews and personal recommendations will provide the standards of a North London removal company. Once you have taken into account positive reviews or recommendations, established that they are a BAR member and ensured that the price seems cost efficient, you are on the way to choosing a professional removal company. Asking family and friends who may have had the first-hand experience of removal companies in North London, is a great way to help you find the removal company suited for you. Alternatively, why not take a look online at Removal Reviews and Really Moving who provide an extensive platform of reviews for removal companies across London. 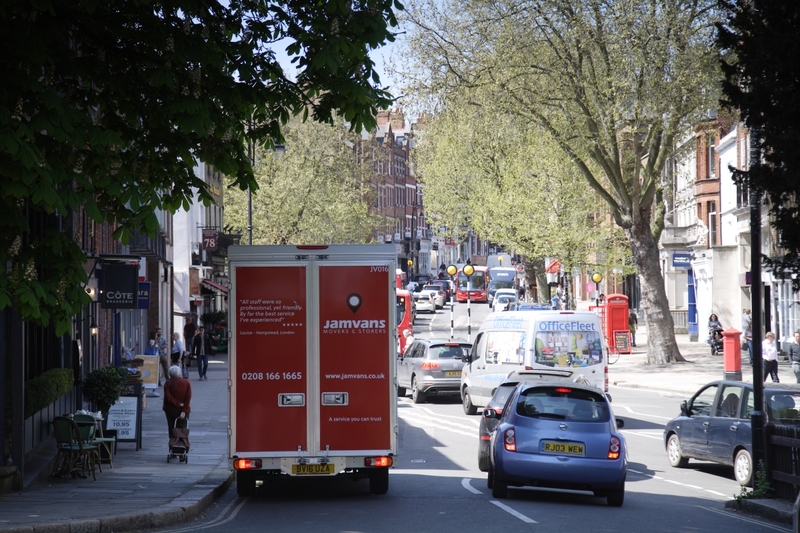 At JamVans we provide a full removal, storage, Man and Van service to the North London area. For more information why not contact us today or visit our North London removals page.